Tye Sheridan at the 'X-Men Apocalypse' New York screening at Entertainment Weekly. 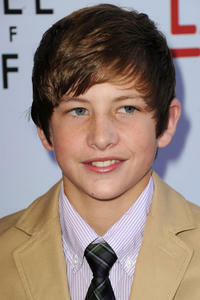 Tye Sheridan at the California premiere of "The Tree Of Life." Laramie Eppler, Hunter McCracken and Tye Sheridan at the California premiere of "The Tree Of Life."